It's two, two, two diamonds in one! 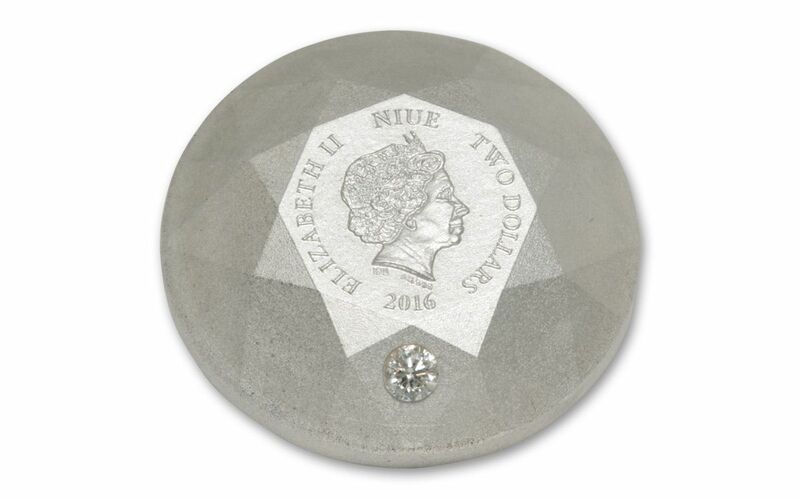 This 2016 silver coin is the world's first diamond-shaped coin struck in silver. It looks like a brilliant cut diamond and in addition, it has a real .1 carat diamond embedded into its surface. 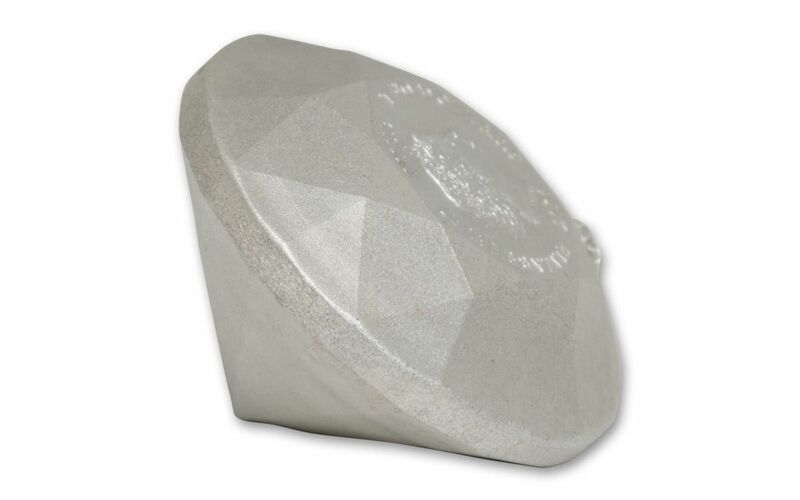 Weighing in at 44 grams of 99.9% silver, it's 26 mm x 17 mm, pretty huge as real diamonds go. Plus, each Satin Finish coin has its own serial number engraved on a facet, from 001 to 222 - the maximum mintage. A portrait of Her Majesty Queen Elizabeth II is struck on the "table," along with the date and the denomination. 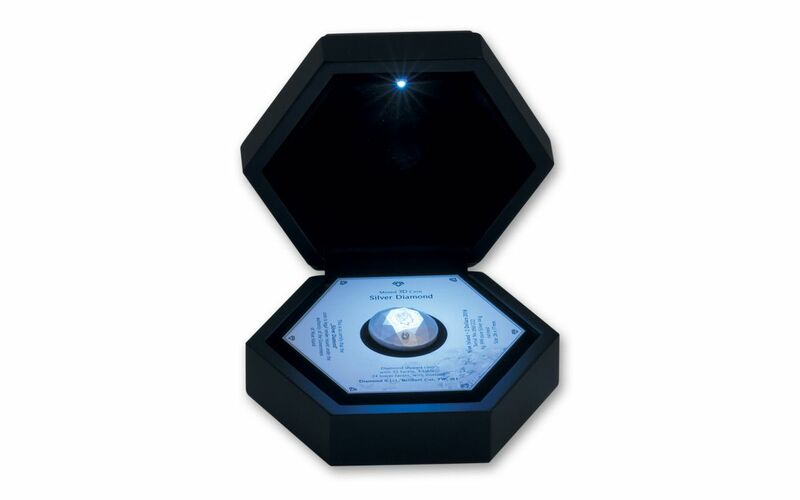 Each coin comes in a diamond-shaped box with a mint certificate of authenticity. 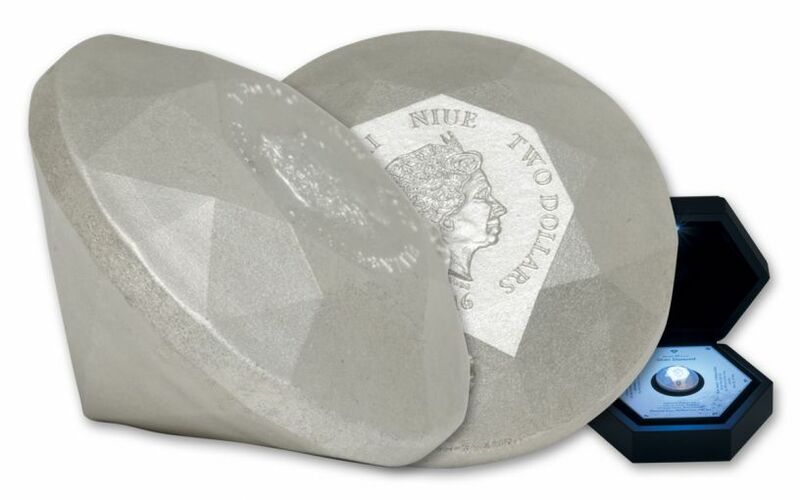 Diamonds may be a girl's best friend, but silver diamond coins are a coin collector's best friend! Add this spectacular innovative coin to your collection today.